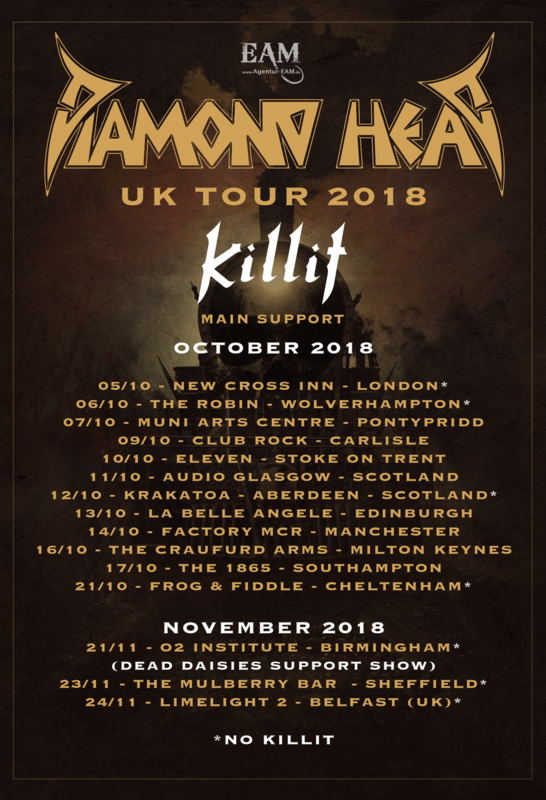 Just off the back of recording studio album number 8, the legendary Diamond Head have announced a headlining run of shows in Europe with support on select dates from Killit, Gin Annie, Statement, Blinding Sparks, Junkyard Drive and Tomorrow Is Lost. The new record is expected to be released later this year, I’m speculating around the time of the tours, and will be the followup to the bands critically acclaimed self-titled record. These guys have gained momentum over the last few years and seem to be going faster than ever. 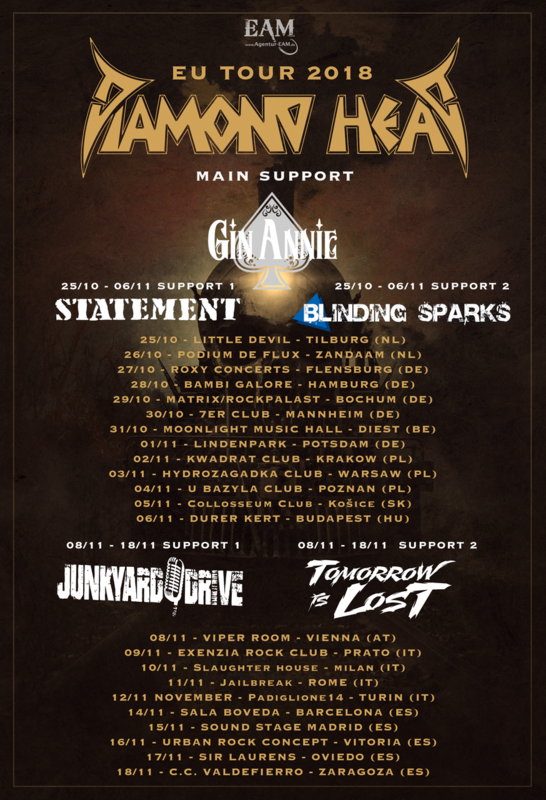 Check out the dates below and make sure to learn about the support acts!